Police Chief Doug Holland noted that most of the city’s streets would be in school zones under the new ordinance, according to an article in the Sentinel. 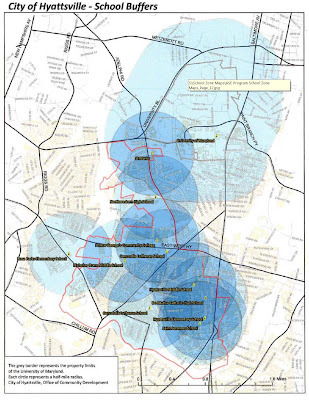 A presentation by the city on the speed camera proposal shows the vast geographic area covered by the school zones, which encompass all but a few small corners of the city. The planned school zones (according to the diagram) include every major road in the city, including Queens Chapel Road and US 1, neither of which has any schools directly on them within the city limits. One Councilwoman, Nicole Hinds Mofor of Ward 5, voted against the ordinance and said she thought the city should find ways to reduce speeding without installing cameras and hiring an officer, according to an article in the sentinel. Two council members were not present: Council President Marc Tartaro, Ward 1, and Councilman David Hiles, Ward 2, were not present for the vote. The other seven members of the council who voted for the cameras (and whose contact information you can find HERE) are Douglas Dudrow, Paula Perry, Ruth Ann Fraizer, William Tierney, Timothy Hunt, Matthew McKnight, and Carlos Lizanne. Control over the camera program, and the revenue generated by them, was part of the debate over Hyattsville's cameras. Patch.com reported that "The cities rights to manage the cameras may also be at stake, according to Chief Holland, who warned that the county could conceivably set cameras up on county roads if the city failed to act." 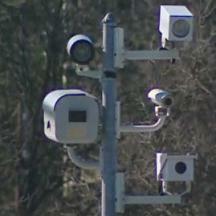 According to documents obtained by StopBigBrotherMD.org other cities such as Bowie and College Park initially had their requests to use speed cameras on Prince George's County roads denied by the county with the stated reason being that the county wanted to deploy cameras there themselves. That would have meant that revenue would go to the county rather than the city. A state law passed in 2010 allows cities in PG County to deploy cameras on county roads even if the county fails to grant permission, and forbids the county from imposing an "exaction or fee" on city managed speed cameras. (This change was specific to PG county, almost as if state lawmakers specifically did not trust that particular county government). Any cameras placed on state highways would need to first be approved by the SHA, although the SHA has freely granted such approvals elsewhere in other towns such as Brentwood, College Park, and Forest Heights. The city will not need permits to deploy cameras on local roads. 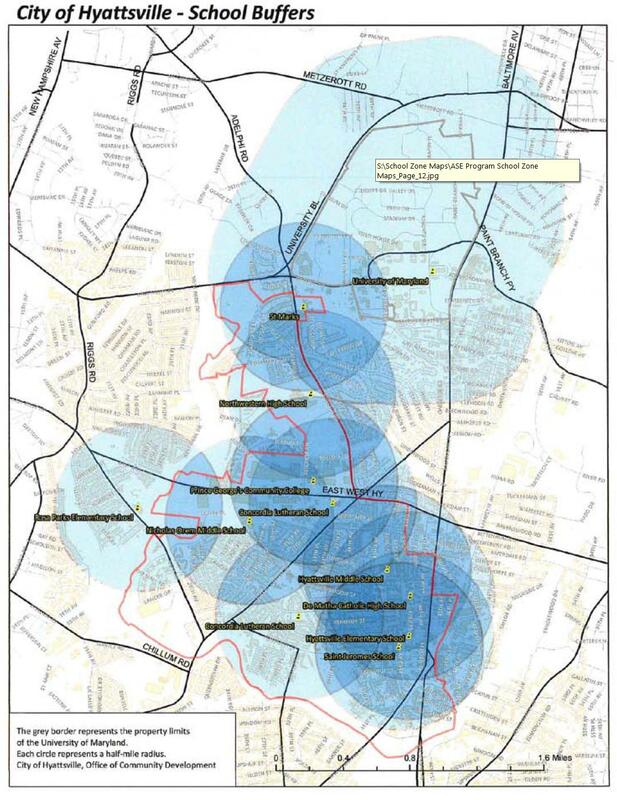 Hyattsville must still select a vendor (such as Optotraffic or ACS) who would then conduct a study to select camera sites. The newly created school zones, most of which were never previously designated or marked as such (a practice now so commonplace in Prince George's county towns that it pretty much goes without saying they would do it) would then need to be marked and cameras deployed, with the first tickets likely to go out around October according to the proposed timeline. The city's presentation states that "Contractor fee may not be based on number of citations". However currently every single city and town in Prince George's county which is running a speed camera program is paying the contractors a fee based on the number of citations, despite a provision of state law saying "If a contractor operates a speed monitoring system on behalf of a local jurisdiction, the contractor’s fee may not be contingent on the number of citations issued or paid" and despite the fact that those contractors are typically responsible for the day to day maintenence for the cameras. Similar violations and circumvention of various parts of state law exist in every single speed camera program in the state. The state government has thus far not intervened in any way, probably because the state of Maryland's own program is also in violation of some provisions of state law.